Choose from a flexible programme of informative talks, subject sessions, information fairs and tours. Staff and students will be available to answer all your questions about life at NTU. The programme of talks, tours and demonstrations starts at 10 am, but registration is open from 9.30 am. You don't have to register on arrival if it clashes with a presentation, but please remember to pop back during the day. The event will officially close at 3 pm. 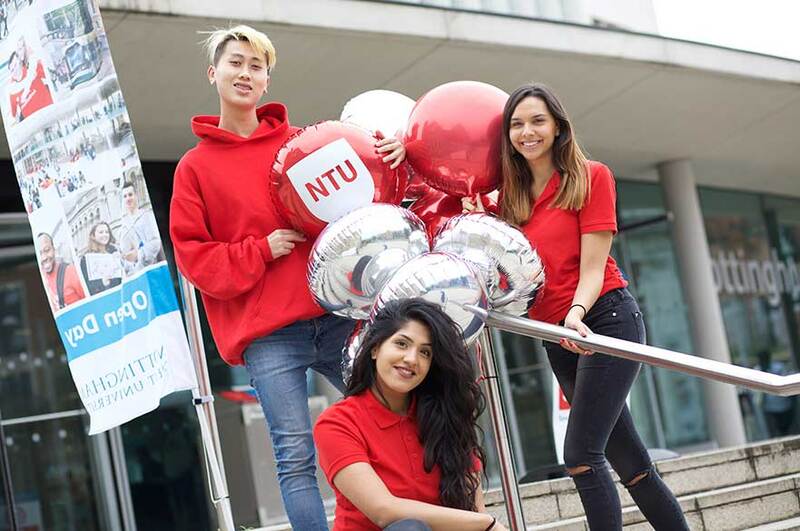 Our offer holder day, held at our City Campus, is designed for students who hold an offer to study at NTU in September 2019. This event is also suitable for students who have applied, or are intending to apply, to join us in 2019 or if you are considering deferring your start date to September 2020. If you deferred your start date from September 2018 to September 2019, these offer holder days are a great to opportunity to revisit NTU and find out about the latest information about your course and life at NTU. If you’re thinking of joining one of our courses in September 2020, our 2020 entry open day series will start in July 2019. Your event planner will be posted to you before the event, and will also be available to download online, or to pick up on the day. It contains a timetable of our talks and tours, a map of our City Campus, and tips on how to make the most of your day. If you’re travelling to Nottingham by car, we recommend you use the City’s Park and Ride services – of which Nottingham has plenty. The parking provision is always generous, and you can expect a tram every ten minutes. Visit the NET site for more information on the city’s Park and Ride services.